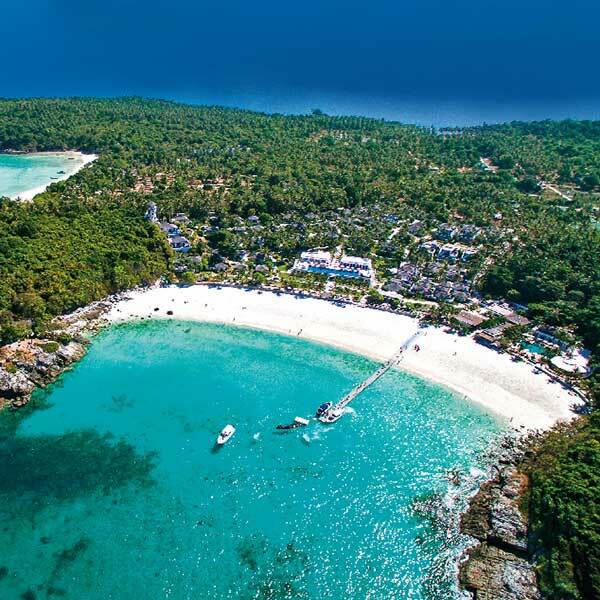 Racha Noi island or Raya Noi island is southernmost of Phuket. It has a wonderful beach where no more people ever seen that. It like a pirates beach. White sandy, crystal clear water, colorful fishes and corals hidden from people for long time. Pick-up from your Hotel and transfer to Visit Panwa Pier. Arrive at the private pier, Check in. and enjoy a light breakfast, coffee and tea as you receive a briefing of the day by our Eco-alert tour guide. Depart from Visit Panwa Pier to Racha Noi Island by speed catamaran. Arrive at Paradise Beach, Enjoy relaxing on the white sand beach or swimming and snorkeling in crystal clear water. Snorkeling at Banana Bay (Racha Noi) viewing corals and variety of colousful fishes. Departure from Racha Noi Island to Racha Island. Buffet lunch on Racha Island. After lunch relaxing on the beach. Departure from Racha Island to Maiton Island for finding dolphins *This trip does not actually take you to be on the island only snorkeling off the coast and it is not guaranteed that you will see the dolphins because it is up to the dolphins to come or not but most of the time they can be seen. Take you back to Phuket with the impression. Arrive at the Visit Panwa Pier and transfer to the hotel with backpack full of wonderful memories. Please Note The itinerary and timing above are approximate and may be modified without notice to fit the tide and local weather conditions. Full day Koh Rok Koh Haa Island Tour, easily one of the most amazing snorkeling tours that you could choose to do while on holiday in Phuket. Full day Racha Raya island Tour. This is a great day out and a lovely island. Very good snorkeling and amazing beaches. There are hotels on the island too if you feel like staying a while. 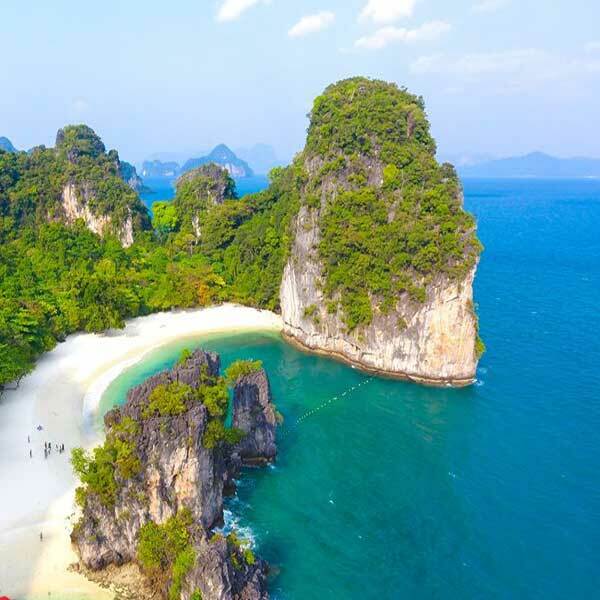 Hong Krabi James Bond Island. This tour only operates 3 times a week so make sure you book in early. This tour has a slightly different itinerary to the others. Premium Koh Rok Koh Haa Speed boat Tour. 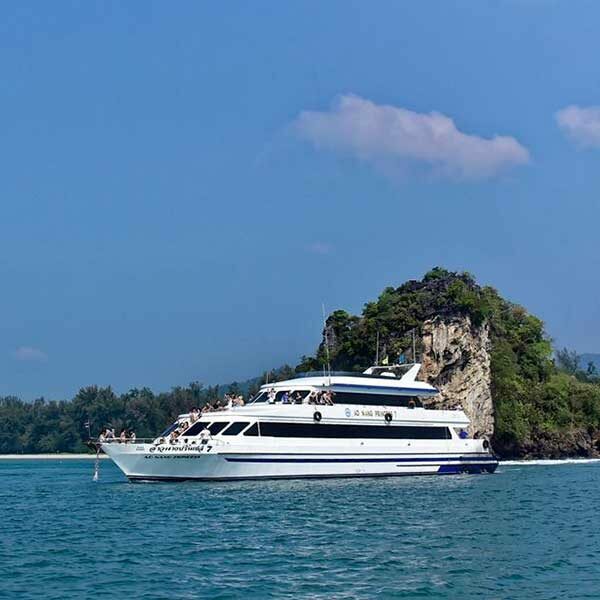 A really scenic and memorable day island hopping to some of Thailands most treasured Marine park attractions. Amazing snorkeling in crystal clear waters with beautiful colours.